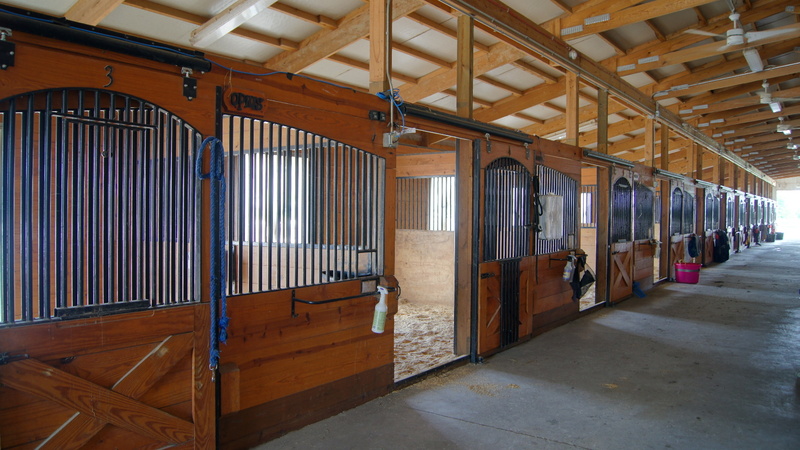 Stalls: Stalls at Harmony Hills are well sized and fit with Humane antibacterial rubber stall mats. These mats allow drainage into a limestone base. Stalls have automatic stainless steel Nelson waters’ which allow a constant replenishment of cold, fresh water. Marth E-Z Pick shavings are our bedding of choice because of the fine texture making cleaning of stalls more thorough. Our stalls are cleaned 2-3 times a day. There are two types of stalls available, either a standard stall with a blanket bar and a drop down door; or a stall with a “run out” option, extending the stall an additional 30’ outside, also with a blanket bar and a drop down door. Feed and Schedule: Our horses are fed grain twice a day and hay 4 times a day. Our “house” grain is Nutrena’s Safe Choice, while alternative choices may be available for a reasonable surcharge. Supplements, provided by the owners, are distributed to horses as needed. Turnout: Horses are turned out approximately 8 hours a day in our “all weather” limestone paddocks, or our 9 grass pastures! We encourage owners to place their horses in a well balanced group where they can exercise and play. If however, you/your horse prefers individual turnout, it is available. Individual turnout time may vary depending on the number of individuals. 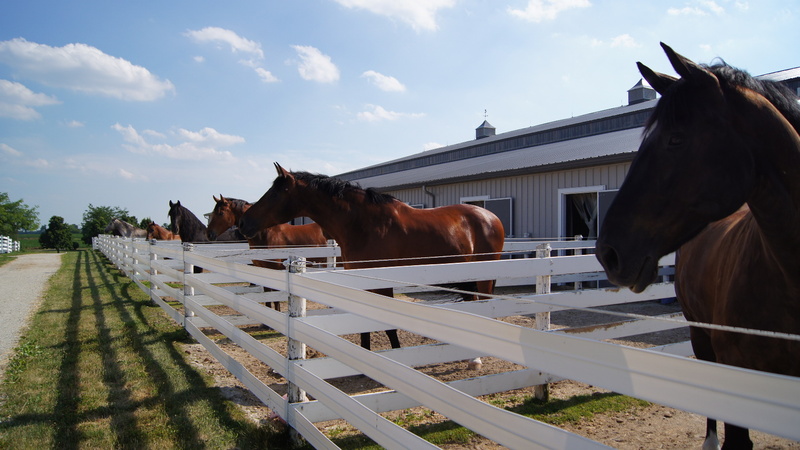 Barn Manager: One of the best things about boarding at Harmony Hills is the barn manager. Willy has extensive experience with horses. Having spent several years in the horse racing industry, Willy has a keen sense of their health, knowledge of minor injury care, handling horses and handling horse’s moms (us). Boarders at Harmony Hills are comforted by knowing that he treats our horses with a gentile hand and a big heart. The horses all seem to love and respect Willy, who can sometimes get them to do things we may struggle with. He always has the horses’ best interest in mind and has a genuine relationship with each and every one of them!